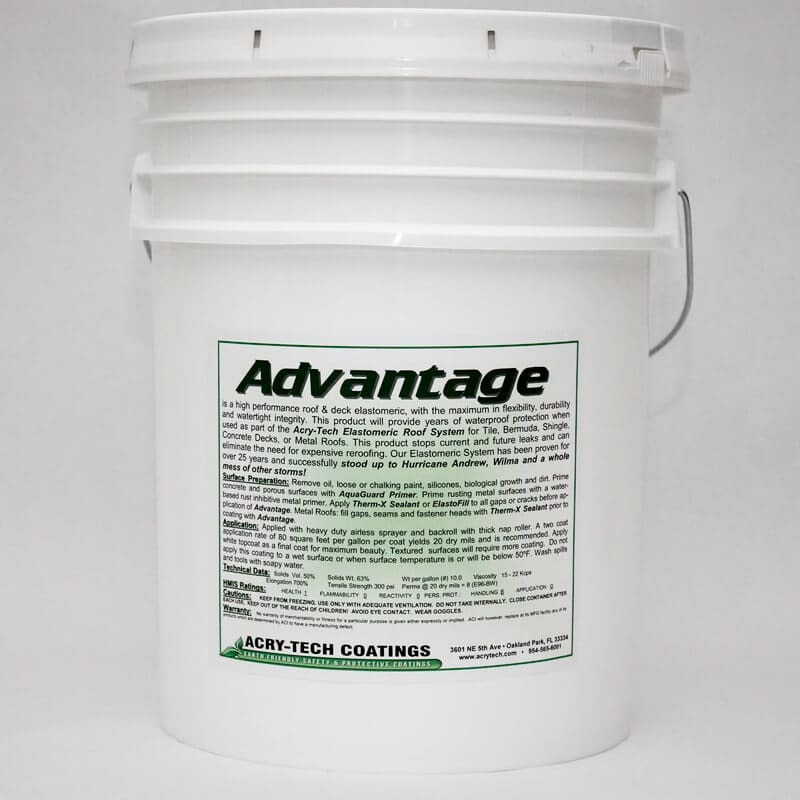 Advantage Elastomeric provides flexibility, durability & watertight integrity for years of waterproof protection for Tile, Bermuda, Shingle, Poured Concrete, Sloped Gravel Roofs or Flat Roofs (with positive drainage). 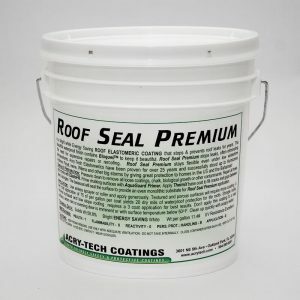 This product stops leaks thereby eliminating the need for expensive reroofing. The Acry-Tech Elastomeric System has been proven for over 24 years and successfully stood up to Hurricanes Andrew, Floyd, Charley, Frances, Ivan, Jeanne, Katrina, Rita, Wilma, Irene and Sandy by giving great wind and water resistance to many types of roofing in South Florida and the Bahamas! Advantage is a high stretch product and stays extremely soft to insure maximum protection against contraction and expansion. 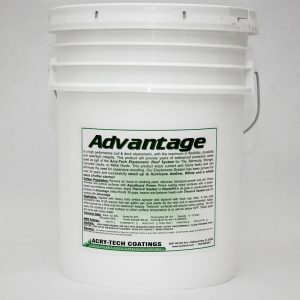 Topcoat the Advantage Elastomeric with our Supreme Roof or Super Roof Gloss for a long lasting mildew resistant finish. Advantage Elastomeric provides flexibility, durability & watertight integrity for years of waterproof protection for Tile, Bermuda, Shingle, Poured Concrete, Sloped Gravel Roofs or Flat Roofs (with positive drainage). 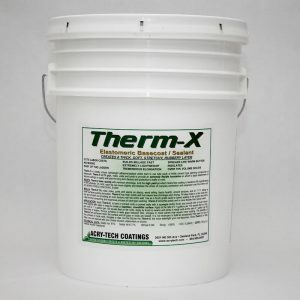 This product stops leaks thereby eliminating the need for expensive reroofing. The Acry-Tech Elastomeric System has been proven for over 20 years and successfully stood up to Hurricanes Andrew, Floyd and Irene by giving great wind and water resistance to many types of roofing in South Florida and the Bahamas! Apply by airless sprayer, brush or roller and apply generously using overlapping strokes. Do not brush or roll excessively as this induces foam and reduces coating integrity. Textured and porous surfaces will require more coating. A two coat application rate of 100 sf per gallon per coat yields 16 dry mils. A two coat application of 80 square feet per gallon per coat will yield 20 dry mils of waterproof protection. 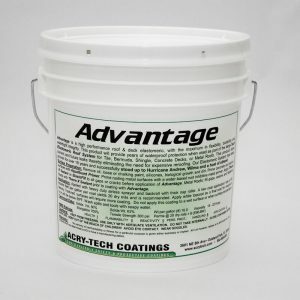 Do not apply this coating to a wet surface, or when rain or evening dew is imminent. Do not apply late in the day or when surface temperature is or will be below 50O F. Wash spills and tools immediately with soapy water. KEEP FROM FREEZING. USE ONLY WITH ADEQUATE VENTILATION. DO NOT TAKE INTERNALLY. CLOSE CONTAINER AFTER EACH USE, KEEP OUT OF THE REACH OF CHILDREN! AVOID EYE CONTACT. WEAR GOGGLES. No warranty of merchantibility or fitness for a particular purpose is given either expressly or implied. ACI will however, replace at its manufacturing facility any of its products which are determined by ACI to have a manufacturing defect.